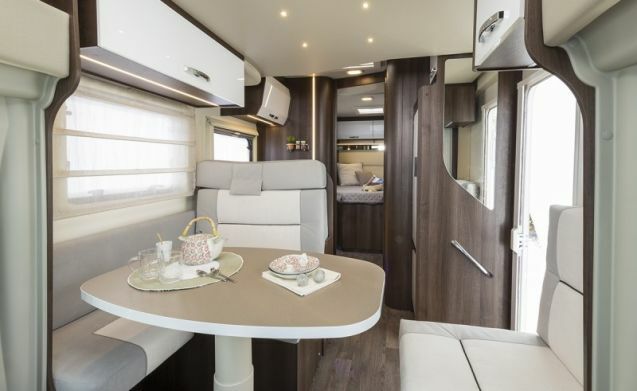 Our luxury motorhome has absolutely everything that your heart could desire for a holiday. 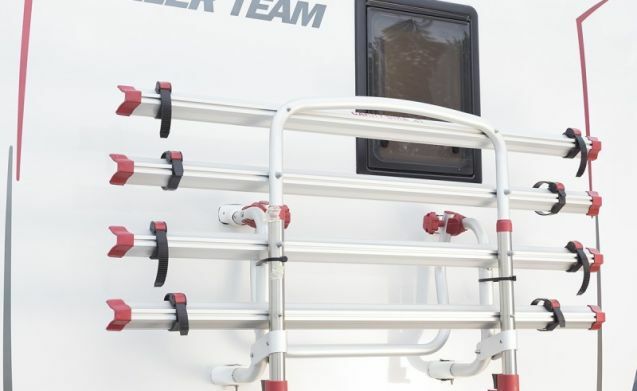 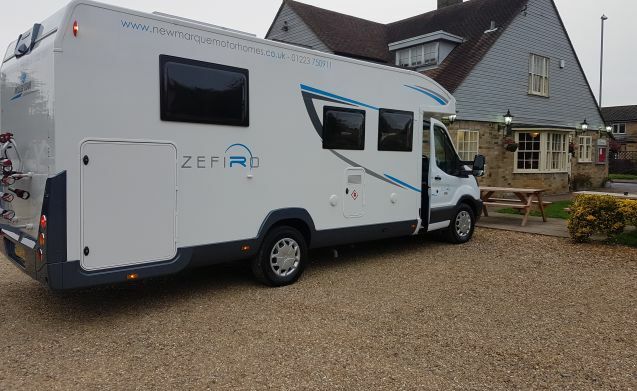 Whether it's the spacious beds or all of the amenities, you are guaranteed to feel safe and comfortable in our Rollerteam Zefiro 696 Motorhome. 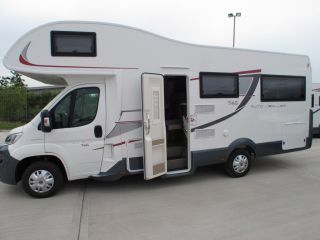 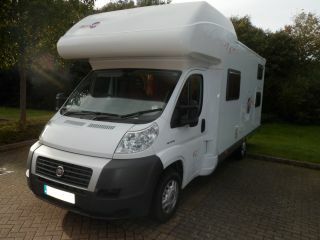 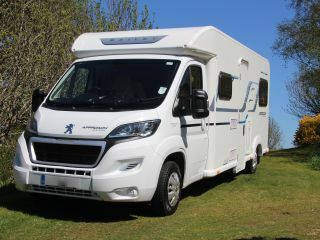 We invite you to hire this motorhome and travel in style and comfort. 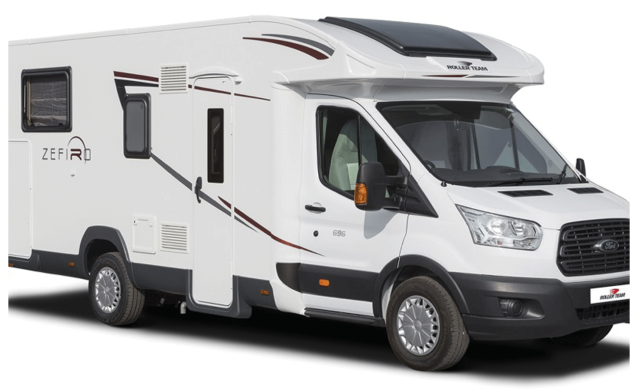 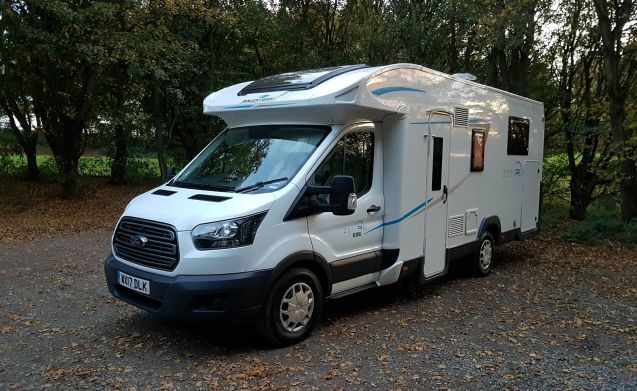 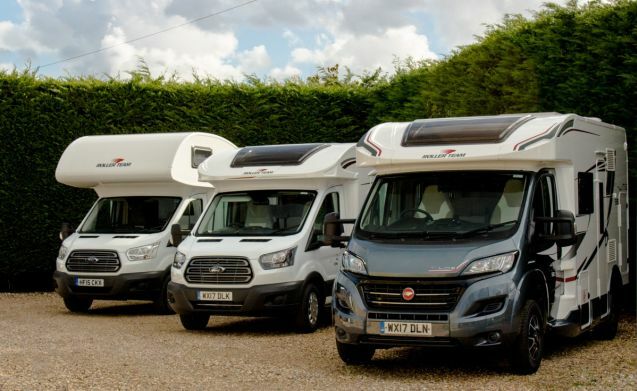 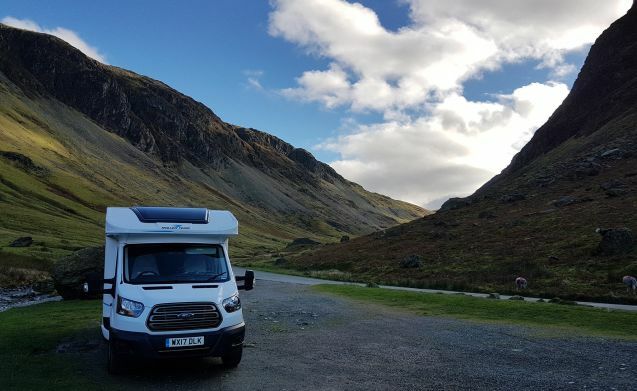 Whether it's through the UK or through Europe, our motorhomes will take you safely to where you have always wanted to go in style and comfort with all the latest technology with a fuel efficient Euro 6 low emission engine on a 2017 Ford chassis. 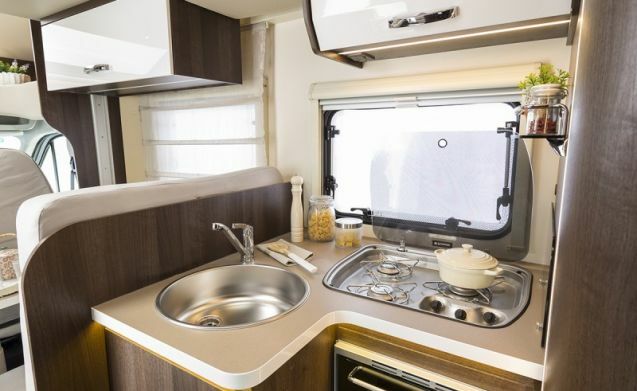 We also supply all the utensils and kitchen equipment needed & outdoor chairs and table. 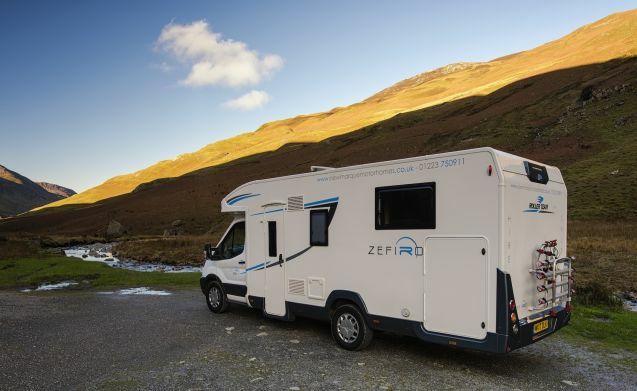 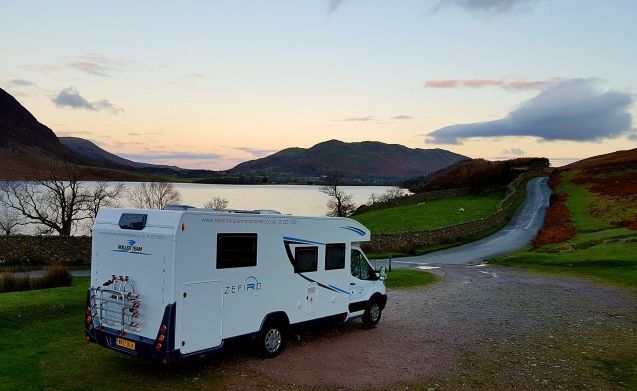 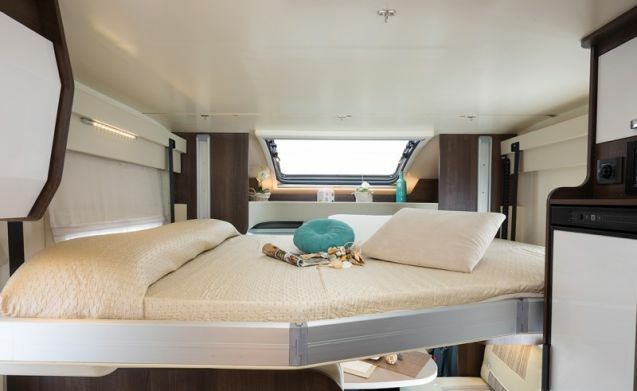 The Zefiro 696 offers a comfortable island bed to the rear, mid ship en-suite area with separate shower cubicle, L shaped kitchen area which also backs up to an L shaped dinette with seat belts allowing 5 people to travel. 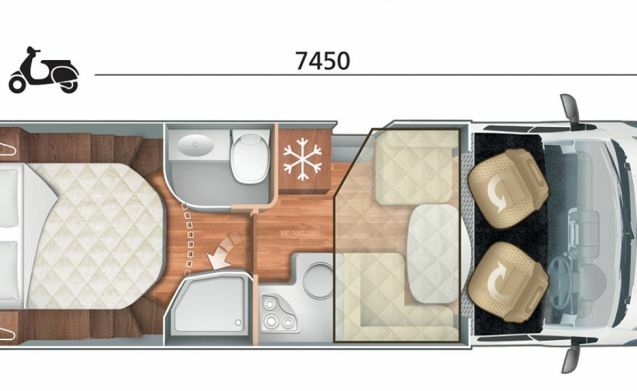 What the 696 offers differently is an electric drop down bed behind the cab area, above the lounge. 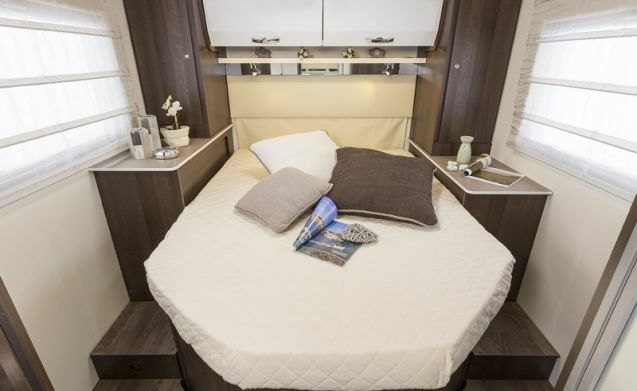 This full size double bed electrically operates with ease and houses a double mattress big enough for the taller 6ft hires.